By Willa Holmwood - Contributor · March 19th, 2019 at 6:02 p.m. The delicate balance between fun and danger in music festival culture. Music festival culture is the epitome of Snoop Dogg’s liberating song “Young, Wild & Free.” Among the sea of bobbing heads and puffs of smoke, all rhythmically aligned with the thump of the bass, thousands of people come together to experience music and community at these festivals. Some of the best memories people have with their friends occur during these moments. But what happens when the quest to be young, wild and free comes to a shattering halt? In 2018, Kelowna’s Center of Gravity (COG) music festival experienced their own nightmare: the death of a 16-year old female. As a student from Kamloops, this festival attendee was failed by a system that enabled her to obtain what she thought was the correct dose of molly. The result? A severe overdose. The COG festival team has stated on their social media platforms that it will not be returning in 2019. However, their goal remains to return in 2020 with a “fresh vision and the renewed support of all our fans”. When I messaged COG directly to ask why they wouldn’t be returning, no comment was given. I attended COG the night the 16-year old overdosed, but I was blissfully unaware of the hazards surrounding me. As the rest of the festival passed, I realized what was going on behind the scenes. From an attendee’s perspective (on Friday night), I saw my friends taking drugs from strangers and being puked on by a woman who had snorted cocaine in an outhouse (how lovely). This was mostly masked by my love for music and the overarching good times I was promised to have with my friends. When I switched my perspective to volunteer medic, (which was my role on Saturday and Sunday), my eyes were pried open to the horrors masked by bass drops and crowds of sweaty people. During the main act, I was running patients back and forth to the medical tent in wheelchairs. From anxiety attacks to dislocated shoulders to a serious lower back injury, I soon realized that this massive party scene came at a huge cost. How can something so fun cause so much pain? While the majority of music festival attendees have the time of their lives, a select few experience the exact opposite. Injuries may be an expected cost of festival culture, but where does death sit on this spectrum? Was the price of one 16-year old’s life worth all the fun had at COG in 2018? I would argue, no. However, if you apply this logic to other situations, sports, roads, cars, and alcohol are just a few things that should definitely be banned – but this doesn’t seem right. Perhaps COG should look at Shambhala’s drug testing and harm reduction expertise. Regardless, the delicate balance between the freedom to have fun and the potential for danger is inevitably complex. 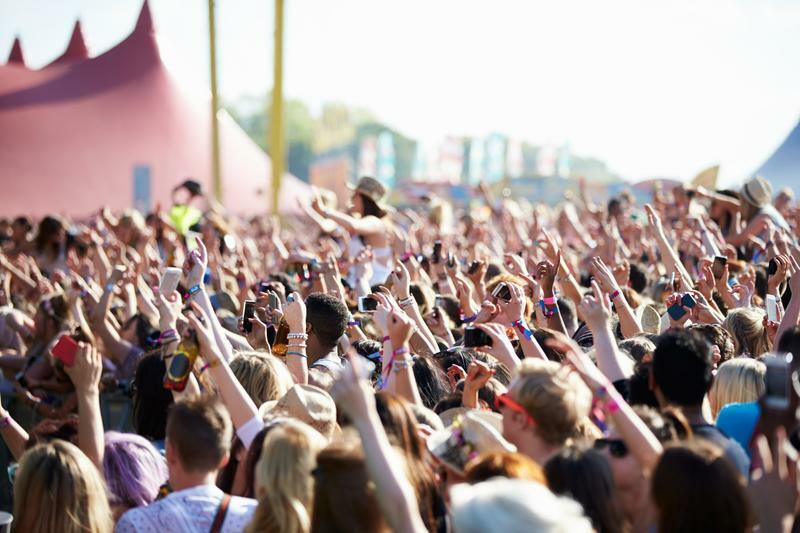 With the intense passion and love surrounding music festivals, where do you stand on this debate?